Dream of Scrappin': 100th POST! This is my 100th post on my blog! Nice! And many of you never thought I would keep it up! 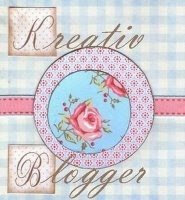 I always wanted my Blog to be a compilation of scrappy stuff, family and me. It has turned out to be more about the scrappy stuff. That is fine, but for my next 100 posts I really want to try to focus on the family stuff a bit too. This is a great place to document their happenings. With that said, it's on to scrappy stuff! LOL! These Denver Zoo LO's are done on a scanned map of the zoo. Pretty neat, thanks Lesley! The Denver is from 50 States and Zoo is from AK. The compass in the lower right corner of page 2 is from GS. Pretty simple pages, but itn't it supposed to be about the pictures? Grandpa John's Oxen & Wagon. This is at the Denver Zoo. I love taking the kids there to see it. The wagon die and barrel are both from PDDU. The wagon was paper pieced and both were inked. The wagon wheel centers are glittered brads that I inked. They look rusted. Came out better than I hoped. Pretty cool if I do say so! Close up of the wagon die cut. A little LO about friends. Used a flower cut from MM and the friends is from LT. The butterfly is from my new HM cart. I used both the regular cut and the shadow cut only adhering them at the body. Neat 3D if I do say so! Now...I will say, this weekend really didn't turn out the way it was supposed to, hence why I got to scrap a bit. On Thursday morning I won tickets to the Jet Car Nationals at Bandimere Speedway in Morrison (up by Denver). Well when I went to get the tickets on Friday from the radio station, there was no one there! UGH! I can't believe it! I called and left a few messages but found out that the station had closed early for the holiday on a whim. So...the kids and I, out of holiday plans, just chilled at home. I really need to make this up to them. Maybe a trip to the swimming pool one day. They will love that! On Sunday Aaron and Susan brought their cars, the Corvette and the Cougar up to BV for the car show. Mom and Cousin Mary followed and Adrian and his kiddos all joined us downtown for the annual event. It was a lot of fun and we ate more than our fair share of ribbon fries! Should have taken a picture of that but since it was raining during most of it, I didn't think about it! hee hee! Happy 100th Post! I love your layouts!